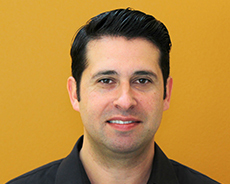 David is a licensed Marriage and Family Therapist with over 10 years of experience working with diverse populations throughout the Bay Area. David combines his therapeutic approach of Psychodynamic Psychotherapy, Cognitive Behavioral Therapy and Humanistic Therapies with compassion, cultural sensitivity, and humor. David’s experience ranges in working with families and children from 0 to 18 years of age, adults with co-occurring disorders, and families with children recently diagnosed with Autism Spectrum Disorder. David’s treatment areas include: Trauma, Anxiety, Depression, ADHD, Oppositional-Defiant Disorder, Domestic/Intimate Partner Violence, Substance Abuse, Self-Esteem, and Relational Issues. David is dedicated to helping families and children cope with their struggles and challenges through empowerment, psycho-education, and confidence building. “A Snowflake in the Storm: Adolescents, Autism, and What Parents Need to Know,” Fiesta Educativa, San Jose, September 2014.